There's probably nobody happier about a cancelled room reservation than us. The day before our family Camotes trip, we received word that our booking in Bellavistamare Resort had been cancelled due to unforeseen circumstances. Not wasting any time, we quickly moved on to the challenge of finding accommodation on-the-spot. Little did we know that the former cancellation would open a new opportunity for us. To make up for the inconvenience, Bellavistamare Resort's management gave us a one night complimentary stay to one of their matrimonial rooms - redeemable anytime. We decided to exploit that for our second night on the island, and it was booked without any question! There are only a handful of accommodation options in Santiago Bay. Bellavistamare sits on the rocky fringe overlooking Santiago Bay, beside the sprawling Santiago Bay Garden & Resort. From Consuelo port, just hire a motorbike to take you there - about 15 minutes away. No such thing as beachfront resorts in Camotes. And I hope it stays that way because many resorts (like those in Bohol and Boracay tend to keep beach access to themselves). Even so, I'd like to point out that Bellavistamare has both roadside and beach side access gates. The beach side access being a mad-made stairway up the rocky edge of the beach line. Resort structures consist of the main building where the reception area and guest rooms are located; adjacent to it is the kitchen/dining hall; and at the back corner is the owner/staff house. Right in the middle is an open garden space, great for yoga mornings and small gatherings. My favorite spot is the lookout area, right by the stairway access to the beach. Sun beds are available, and you can also take your meals there. The room we originally booked was pegged at ~P1500 (airconditioned). It comes with breakfast and the kid stays for free. Here are their other published rates (as of 2013). We are not picky travelers. In fact, on our first night, we stayed in Ethyl's Homestay - a fan room with just a bed and a trash bin, nothing else. In Bellavistamare, our room had a dresser, a cozy chair, towels, free bottled water, and I also found an extra mattress under our double bed. More importantly, we had our own bathroom with a flushing toilet, shower, basic toiletry and all! The room was neatly arranged, even the towels were origami-ed on the bed like a flower. Like I said, basic traveler needs have been thought of, and we had no problem settling in. I had no issue with tight space because this room is only meant for 2 occupants. My only issue would be the noise coming from what I think was the deep well water pump - negligible but I'd like to point out for my sensitive readers. We skipped the in-house breakfast (we though it wasn't included) and we had it down at one of the food stalls by the beach. There is a row of small restaurants right outside the beach access gate from Bellavistamare. Silog-style (rice-egg-viand combo) breakfasts are your go-to meals. You can also buy sari-sari store food across the street (from the roadside entrance gate). This is the part where I tell you about our free accommodation. Once we got settled in, we had a little chat with the staff-in-charge. We were curious about what really happened to our canceled booking. As it turns out, Andy, the Italian owner had to go to Cebu City and they had to close shop the day we were supposed to check in. We kind of felt bad about our free room, but what's done has been done. We met Andy later on. He was in crutches, yet he was still so gracious to welcome us. 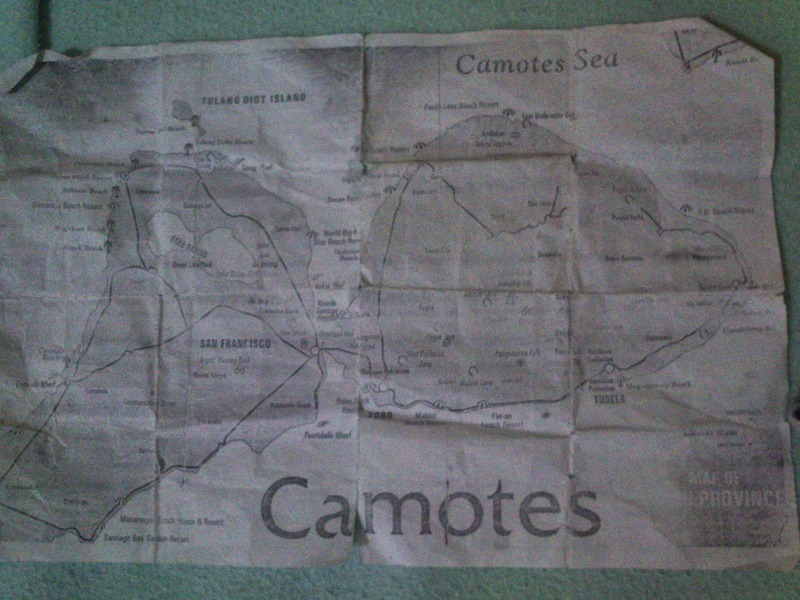 The day we were to go to Poro, we asked the staff-in-charge for a map and she produced a photocopied one for us (their last copy). Overall, we had a very pleasant stay. The resort had a delightful homey feel, like staying in a rich uncle's vacation home. It doesn't have that much rooms, so you're safe from tourists that come in big groups.